The use of smartphones and their associated applications (apps) provides new opportunities for physicians, and specifically orthopaedic surgeons, to integrate technology into clinical practice. The purpose of this study was twofold: to review all apps specifically created for orthopaedic surgeons and to survey orthopaedic residents and surgeons in the United States to characterize the need for novel apps. The five most popular smartphone app stores were searched for orthopaedic-related apps: Blackberry, iPhone, Android, Palm, and Windows. An Internet survey was sent to ACGME-accredited orthopaedic surgery departments to assess the level of smartphone use, app use, and desire for orthopaedic-related apps. The database search revealed that iPhone and Android platforms had apps specifically created for orthopaedic surgery with a total of 61 and 13 apps, respectively. Among the apps reviewed, only one had greater than 100 reviews (mean, 27), and the majority of apps had very few reviews, including AAOS Now and AO Surgery Reference, apps published by the American Academy of Orthopaedic Surgeons and AO Foundation, respectively. The national survey revealed that 84% of respondents (n = 476) have a smartphone, the majority (55%) have an iPhone, and that 53% of people with smartphones already use apps in clinical practice. Ninety-six percent of respondents who use apps reported they would like more orthopaedic apps and would pay an average of nearly $30 for useful apps. The four most requested categories of apps were textbook/reference, techniques/guides, OITE/board review, and billing/coding. 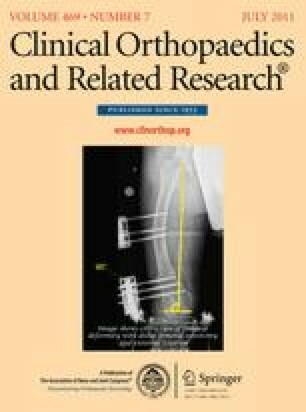 The use of smartphones and apps is prevalent among orthopaedic care providers in academic centers. However, few highly ranked apps specifically related to orthopaedic surgery are available, and the types of apps available do not appear to be the categories most desired by residents and surgeons. The author certifies that he or she has no commercial associations (eg, consultancies, stock ownership, equity interest, patent/licensing arrangements, etc) that might pose a conflict of interest in connection with the submitted article. Apple. iPhone App Store. 2010. Apple. Available at: http://www.apple.com/iphone/apps-for-iphone/#heroOverview. Accessed September 14, 2010.
comScore. July 2010 U.S. Mobile Subscriber Market Share. 2010. Available at: http://www.comscore.com/layout/set/popup/Press_Events/Press_Releases/2010/9/comScore_Reports_July_2010_U.S._Mobile_Subscriber_Market_Share. Accessed September 16, 2010.
iMedicalApps. 2010. Available at: http://imedicalapps.com/. Accessed September 27, 2010.